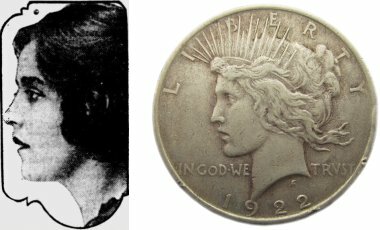 Still, even a quick comparison between the Peace Dollar and a photograph of Teresa de Francisci shows that the profiles are almost exactly the same. Teresa de Francisci was widowed on October 20, 1964. 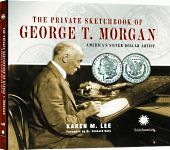 In her later life, she was a frequent invited guest at coin collecting events, where she was introduced and honored as the face on the Peace Dollar. Teresa died on October 20, 1990, exactly twenty-six years to the day after the death of her husband. She was 92 years old. Filed under Coin Models, Peace Dollar.